If you slipped and fell in Edgewater, then call the Edgewater slip and fall attorneys at the Wolfson Law Firm in Miami at (305) 285-1115 for your free consultation. Edgewater’s rising popularity has given it condominiums and retail stores that have seen a boom since the 2000’s. With the rise of these stores unfortunately comes rise in accidents and negligent work conditions. 1800 club completed in 2007 has in its lower areas five floors dedicated to retail alone. Blue on the Bay, another high rise completed only two years before offers three floors of retail stores for its residents and those outside. 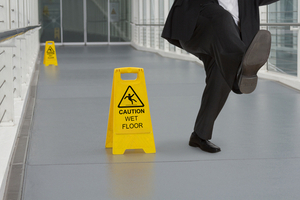 All these areas carry the risk of providing what some leading experts are calling the highest cause of accidents in the United States, a slip and fall. It's understandable that something like this may not cause much alarm, the name itself seems almost comical. If you or your loved one have been through such an event, then you know that it can lead to serious and debilitating injury. It is important then that you be aware of the options afforded to you under Florida law. The professionals who can get you that information is only a quick toll-free phone call away at (305)-285-1115. They are Wolfson Law Firm, a Personal Injury and Wrongful Death law firm in Miami that has been in practice for over sixty years. These industry professionals are more than capable in informing you of your best possible step in recovery and compensation. Each of the commercial areas mentioned above are bound by a single promise to its customers, to keep you reasonably safe. They do this so that you may visit their stores without the fear of finding yourself with a debilitating injury. If you have been injured due to a slippery floor, cracked sidewalks, decrepit stairs, or uncared for bathrooms then they have broken that promise to you. It is then your responsibility to seek compensation, but you do not have to go at it alone. At Wolfson Law Firm, the Edgewater personal injury lawyers have been hard at work in helping the citizens of South Florida with dependable and trustworthy service since 1963. They’ve helped those from Miami Springs, Doral, Miami Shores, Coconut Grove, Coral Gables, Biscayne Bay, North Bay Village, Fort Lauderdale, Sunrise, Hollywood, South Beach, North Beach, Pembroke Pines, and many more. With licenses to practice law in all state courts, they are more than prepared to do what they can for you to get the compensation you deserve, and the justice you need. Don’t let a slip and fall injury put a stop to your life, find out the information you need from industry professionals. Jonah Wolfson, the managing attorney of the law firm, is a personal injury and wrongful death attorney that is bi-lingual and more than happy to personally answer any questions that you may have. All consultations are free and wherever is most convenient for you and your family. We’re located at 3399 SW 3d Avenue in Miami, so please stop by our office to speak to one of our attorneys today. All personal injury cases are handled on a contingent fee basis, meaning that you owe no fees unless and until financial recovery is obtained for you by our lawyers. Call us today to speak to an attorney right away at (305) 285-1115.